Your Motorcycle Tires Are Wore Out! That’s the last thing you want to hear when your 400 miles from home. But it can be prevented if you check your motorcycle tires before every ride. It’s imperative to know what you are looking for. Proper inflation is important but there are many other things that can raise a red flag. Become familiar with your motorcycle manufacturer’s inflation guidelines. Look in your motorcycle owner’s manual to find the right PSI (pounds per square inch) of air pressure for your tires. Some bike manufacturers also list this formation on the bike itself. Common locations include the swing arm, front fork tubes, inside the trunk, and under the seat. Keep in mind that these recommendations are usually dependent upon the weight of you and your passenger, as well as any cargo. For instance, some manufacturers advise adding 3 or 4 PSI when carrying a heavy load. Know your vehicle weight and load, and follow the PSI recommendations specific to your motorcycle. Failure to do so can result in adverse motorcycle handling (wobble and weave) or tire failure, or both. Check your tire pressure often and adjust as necessary, using an accurate tire gauge. Motorcycle tire manufacturers recommend checking pressure at least once a week. However, we and many motorcycle safety experts recommend checking tire pressure and tread wear every time you take your bike out. After all, you ask more of your motorcycle tires than you do your car tires. So it’s wise to ensure they’re roadworthy each time you ride. Take the time to frequently inspect your tires for sidewall and tread groove cracking, punctures, blisters, knots, cuts, excessive or irregular wear. As with tire pressure, it only takes a few minutes every time you ride. If you do find any of these tread wear conditions, immediately replace the damaged tire. In addition, most tire safety experts recommend replacing rather than attempting to permanently patch a tire. When your tread is worn down to the level of the built-in tread wear bars on your tires, the tread won’t provide good traction. This is yet another indication it’s time for new tires. Check your tires for signs of aging, including dry rot and cracking. Even barely used tires become hard with time or exposure to the sun. When tire rubber gets hard and stiff, it tends to crack and cannot grip the road to provide proper traction. So it’s wise to replace old or dried-out tires even if they still have plenty of tread on them. If you store your motorcycle during winter months, be sure to store it in a cool, dry place, out of direct sunlight and away from ozone-producing appliances (anything with an electric motor, such as a refrigerator). Additionally, your tires should not come into sustained contact with gasoline or oil. Improper storage will rapidly accelerate the normal aging process, making your tires unsafe. Make sure you get a matching set of front and rear tires. 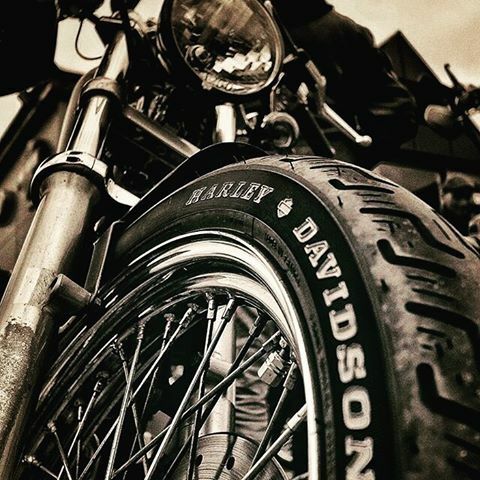 Unlike car tires, you need to make sure that your motorcycle tires are a matched set. At a minimum, they should have complementary tread patterns, should both be either radial or bias ply, and ideally be the same make and model. Remember that front and rear motorcycle tires are not designed to perform exactly the same functions and are not interchangeable. You’ll need one front tire and one back tire of a complementary make, model and size. Avoid riding on the shoulder or near medians where sharp objects and other tire-damaging debris tend to accumulate. Constantly monitor the way your motorcycle rides so you can detect any rapid air loss — and respond appropriately without delay. If you follow these guidelines it will help insure a safe fun riding experience and not leave yourself 400 miles from home with a wore out tire. Great info, this gives me a lot of insight in how to take care of and inspect my tires. I do have a question though – I am looking to purchase a tire and I’m not sure if I should get a cheap tire or a more expensive tire. Is there any real difference between the two or am I just paying for the brand name? Thanks. All tires are not created equal. And just because a tire costs less than another tire the same size doesn’t mean it’s cheaper. Tire manufacturers typically make many different tires for many different applications. Some tires are made for longevity and some are made for performance. The two compound tread design has a hard rubber center tread with softer rubber on the sides. This allows for grip in the corners when you need it and many miles of straight up riding on the highways. Performance tires are typically softer rubber all the way across the tread. These tires generally wear a lot faster due to the softer compound, but give a huge increase in traction when cornering and on the straightaways when your racing your buddies. The cost of a tire is generally relevant to the number of units the manufacturer produces. And the old economic law of supply and demand. The tires that wear the fastest get replaced the most and as such more are made of these types. That doesn’t mean every cheap tire is going to wear out quickly but it is a good indicator. And if the tire you need is an odd size that not many bikes use chances are its going to be expensive no matter what style you want. The best thing you can do is educate yourself on all the different styles of tire each manufacturer produces. Or come by our shop and we can explain all the different styles and help you decide on a tire that’s just right for your needs and your budget. 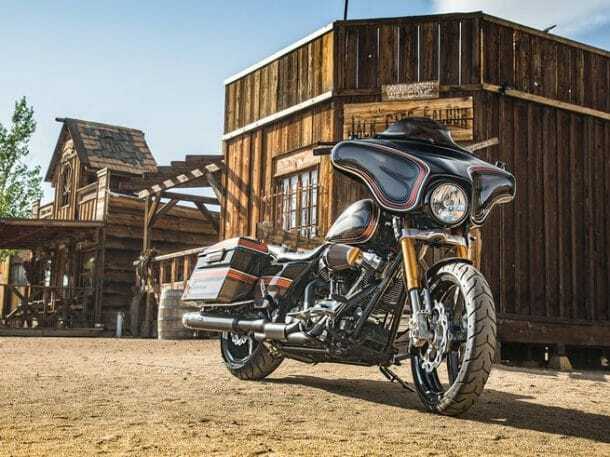 and get the latest Harley-Davidson product news.